What is the Right Concrete Sealer to Use? For more than a decade, SureCrete Design Products has pioneered the latest advancements in concrete sealing products. With so many sealer and waterproofing applications on cement based surfaces, many people have a hard time choosing the right concrete sealant. You will find answers to the most common concrete sealer questions, along with tips and tricks for installation. 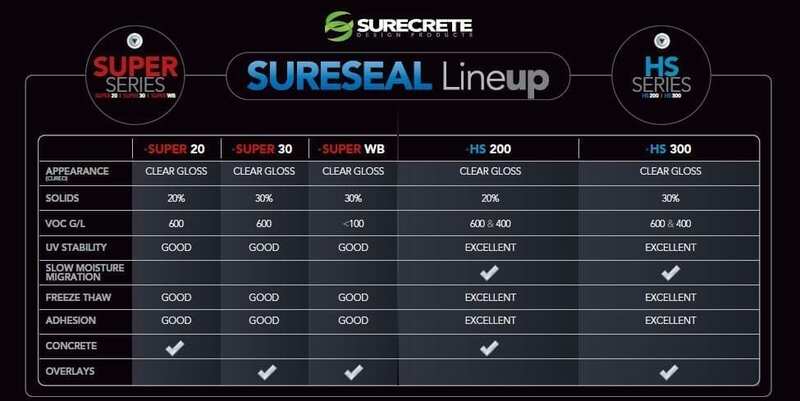 Whether you are looking for an indoor polyurethane, or epoxy coating or outdoor acrylic, the sections below are designed to help you choose the attributes needed for your project and guide you to the right concrete sealer of choice. When looking at the choices in cement based concrete sealants you have four main sealer technologies’ to choose from: acrylic, polyurethane, epoxy coating and polyaspartics. Each sealer has specific attributes that make it a great choice for concrete surfaces. 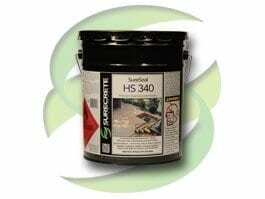 Each concrete sealer is generally available in both solvent based and water based formulations. Water based is not always better than solvent based, but it usually provides a lower VOC content which is important in low VOC states. How to choose an Indoor Concrete Sealer? If you want that polished concrete floor look without having to wait the days or weeks it would take you to grind and polish, and then grind and polish some more? 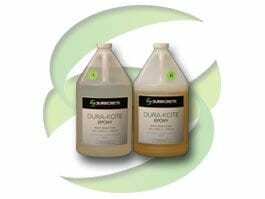 Then SureCrete’s polyaspartics are definitely the products you’re looking for. 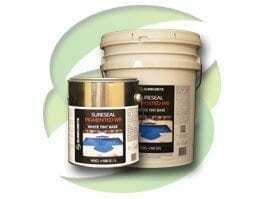 Our polyaspartics clear and colored have been specially formulated for professional use in the concrete sealer and decorative concrete industries. Once cured, they are some of the hardest coatings available on the market today, and oh by the way, they cure in as little as 2 hours. – The use of polyurethanes as an interior/indoor sealer is the most popular choice and a smart environmentally friendly choice. Polyurethanes are harder than acrylic sealers and provide a thicker mileage making maintenance very low. Although polyurethanes are generally from 50% – 60% solids by weight, this does not mean that they attribute to higher slip fall situations. Polyurethane sealers are available in solvent based and water based formulations and is UV-stable with color enhancing properties. 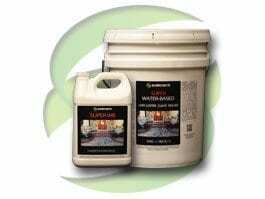 This type of sealer provides superior protection to floors from abrasion, oil, water, and many other chemicals. Interior floors such as stamp overlays, spray textures, concrete stain, concrete dyes and other decorative concrete applications need a sealer that can protect the design and deliver UV stability so that colors do not fade, for these reasons polyurethanes are the ideal sealer of choice for concrete sealer for garage floors. 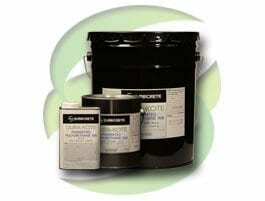 Clear Acrylic aliphatic polyurethane which is 51% solids by weight and a low VOC of 400 g/l. Clear Low VOC 100 g/l polyurethane and is 57% solids by weight. Epoxy sealers provide a thicker film giving the best protection against abrasion, scratching and gauging of the concrete surface. Traditional places were Epoxy floor sealers are used are garage floors, hotel lobbies, hospitals, and other high traffic high wear walking areas. Even though Epoxy sealers provide a thicker film of protection they are generally not UV-stable and require at least 1 coat of a high grade Polyurethane sealer. 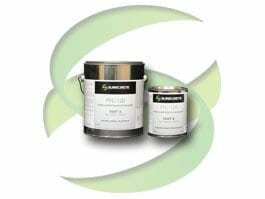 As a decorative concrete surface Epoxy sealers are tinted with color to create a pigmented sealer. This tinted epoxy sealer is rolled out and creates a uniform color to the floor. In many cases the broadcasting of flakes are used to create a themed floor with a final clear coat of epoxy or polyurethane on top of it to encapsulate the epoxy flake design. 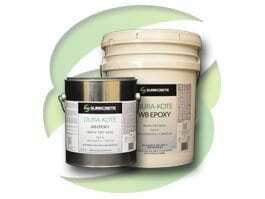 Both water based and solvent based epoxies are low VOC and deemed environmentally friendly. 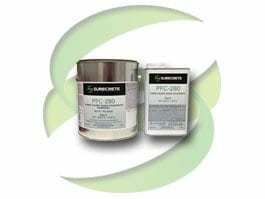 100% solids epoxies are zero VOC and eco-friendly, there is a solvent smell associated with this product even though it has a low VOC of zero. Clear Low VOC 175 g/l epoxy sealer and is 52% solids by weight. When using Acrylic sealers most contractors will apply 2-3 coats of this sealer with multiple coats of a high quality concrete surface wax. Acrylic sealers are not as hard polyurethanes and scratch easier. To maintain this sealer it is recommended to wax the floor a few times a year. Resealing the floor with an acrylic sealer is highly recommended every 2-3 years to maintain proper mileage and protection of the concrete surface. 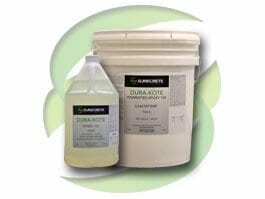 SureCrete offers both solvent based and water based acrylic concrete sealers. Due to the constant moisture which comes in contact with exterior surfaces it is essential to choose a breathable exterior concrete sealer. Commonly acrylic sealers are used because they breathe and can let out trapped moisture coming up through the concrete. Although it releases moisture out in a gas form it still repels moisture and oils that come from the top of the concrete surface. If you live in the south portion of the United States you generally deal will intense heat and UV. Attributes to look for in a sealer are: bonding strength, hot tire pickup, and the quality of the acrylic used. Low cost acrylic sealers have a lower quality acrylic and therefore wear down quickly causing a short time of protection and a higher maintenance for resealing. 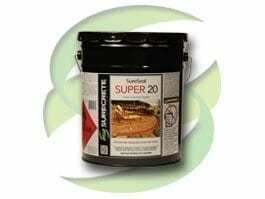 SureCrete suggests the use of the Super 20 or Super 30 acrylic sealer in states such as Texas, Florida, Alabama, Mississippi, and Louisiana. 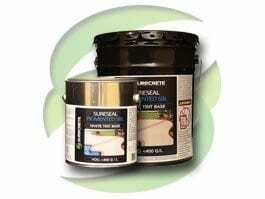 Low VOC 100 g/l and is a 30% solids Water Based clear concrete acrylic sealer. Areas that deal with multiple freeze thaw cycles require great attention if maximum protection is wanted from your exterior concrete sealer. Not only do you need a quality acrylic sealer to repel moisture, oil, and hot tire pickup you also deal with issues such as: multiple freeze thaw cycles, de-icing agents such as salts, and abrasion from snow removal. De-icing agents such as salt eats away at concrete sealers and when it gets to the concrete surface will cause damage to the concrete in the form of spalling. SureCrete suggests that you upgrade to a premium sealer that not only uses a quality acrylic but also carries Silane properties. Silane alters the porosity of the concrete surface and slows moisture migration, efflorescence, and acts as a backup to the acrylic film. This additional protection helps you avid unwanted damage to your concrete and helps prevent spalling. 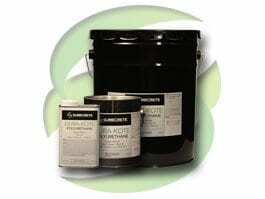 600 g/L 30% acrylic solids, , High Gloss Colored Acrylic. With over Distribution centers around the world, find where you can buy Surecrete concrete sealers nearest you, or contact Surecrete directly with your concrete sealer questions.